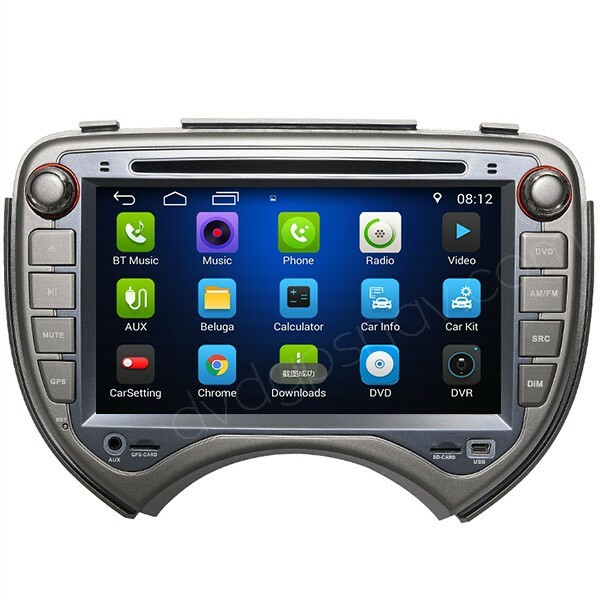 Special car DVD player with GPS navigation system for Nissan Micra(Also called Nissan March), built-in Android 7.0 system, Quad-Cores CPU, 16GB ROM, 2GB RAM, and 32GB+2GB RAM optional. 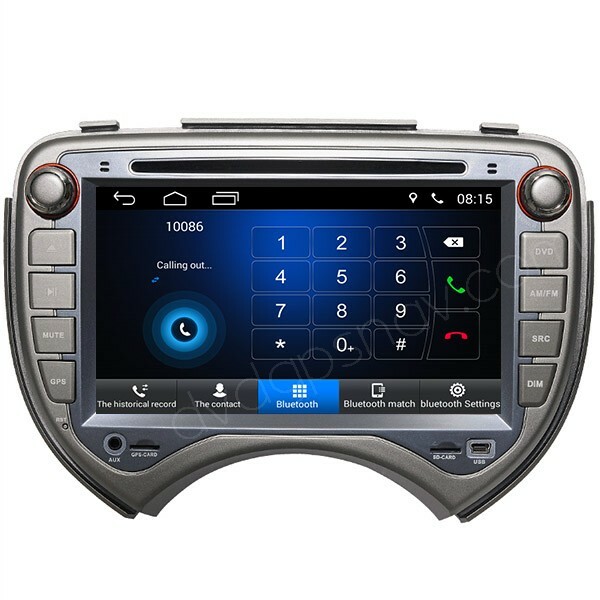 This Nissan Micra Android DVD GPS unit also comes with Bluetooth, WiFi, USB and 1024*600 HD touch screen. 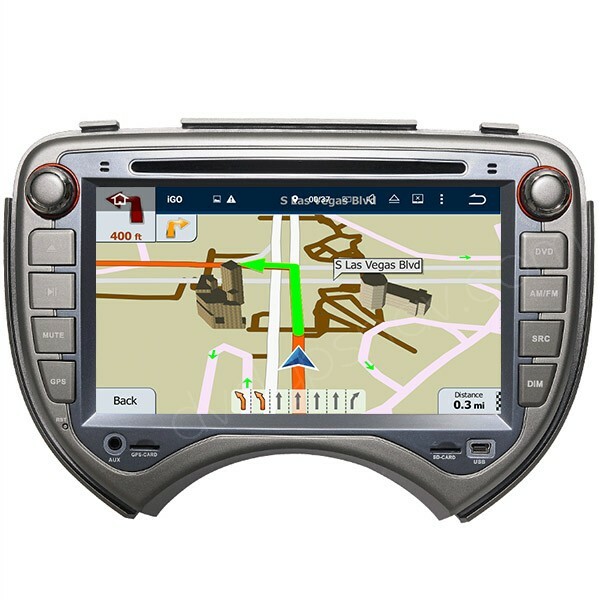 Buy now get a 8GB SD card with Android GPS maps for FREE, when maps update is available from us, update is also free. 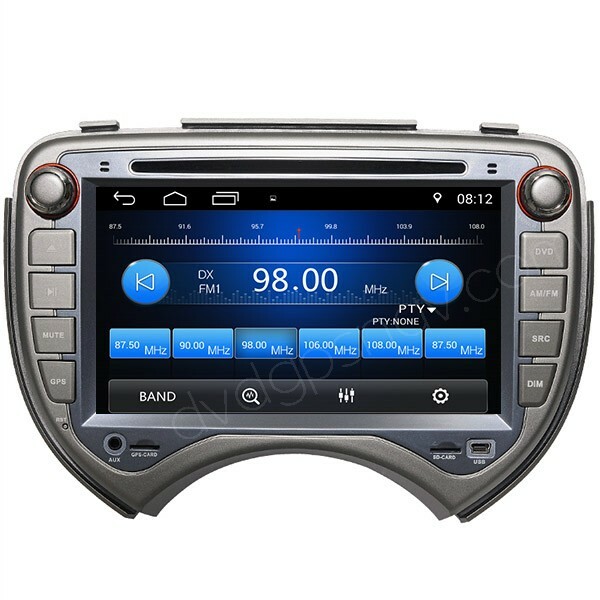 This Nissan March/Micra Android radio can be upgraded to Android 8.0 system now. 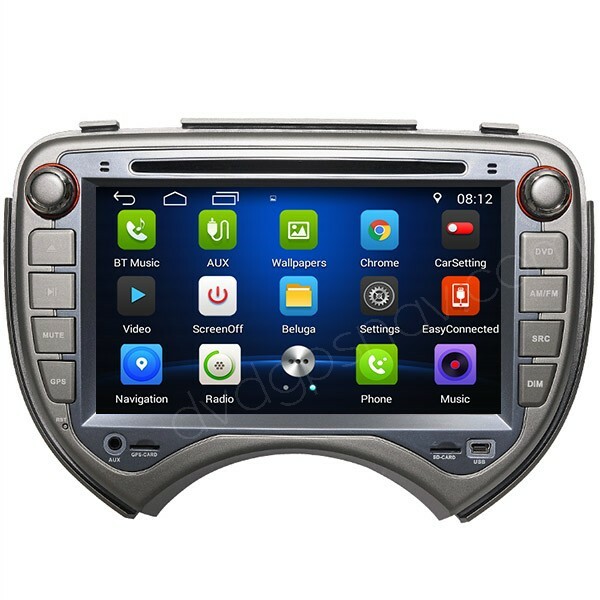 Special car DVD player with GPS navigation system for Nissan Micra(Also called Nissan March), built-in Android 6.0 system, Quad-Cores CPU, 16GB ROM, 1GB RAM, and 32GB+2GB RAM optional. 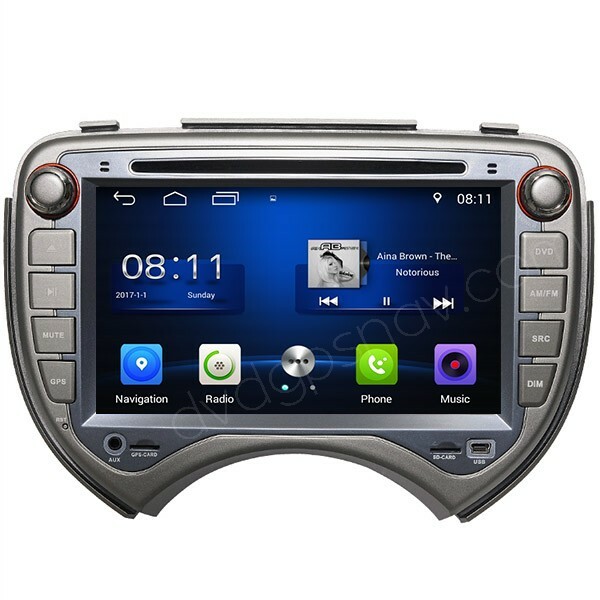 This Nissan Micra Android DVD GPS unit also comes with Bluetooth, WiFi, USB and 1024*600 HD touch screen. Note: The front 3.5mm aux jack does not work. 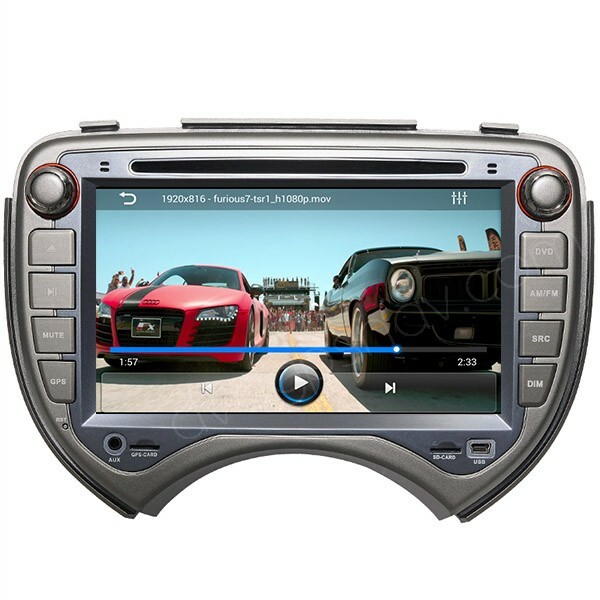 Video: Support All Format Video 1080P FHD, MP4,H.264,WMV,AVI,RM/RMVB,VOB,etc. 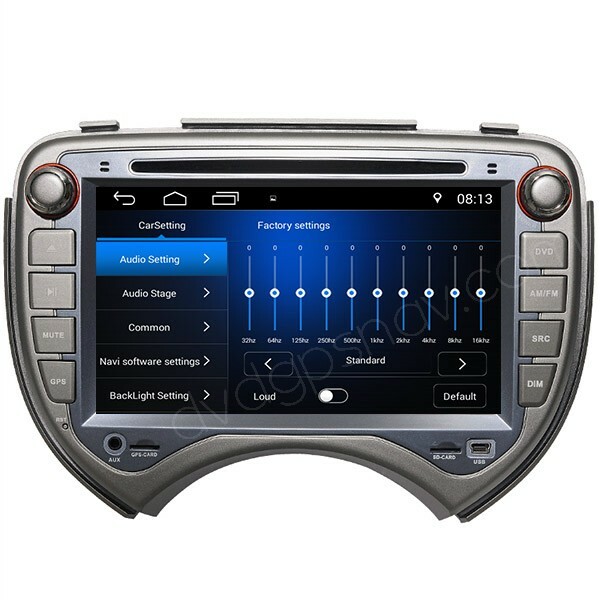 Audio: Support All Format Audio ,APE FLAC PLAY, MP3,WMA,WAV,APE,FLAC,etc.